All betting games that involve a pot (rather than a casino-style game like Blackjack that pays players out of a bank run by the house) need some way to establish its opening balance. After all, who is going to want to risk some of their money when there’s not something out there as a possible reward? There are two ways by which this is achieved—by ante or by blind bets. Antes are the traditional way that pots are seeded, going back as far as the origins of poker, if not older. Antes are dead simple—everyone contributes an agreed-upon stake to the pot before the cards are dealt. 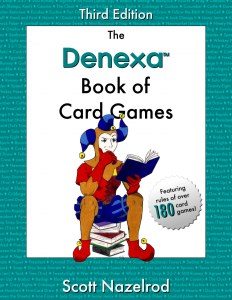 If someone doesn’t want to play a hand, they just don’t ante and don’t get cards. Texas Hold’em and Omaha, the two most popular forms of poker played today, tend to use blinds instead of antes. The player to the left of the dealer is designated the small blind and bets first, and the next player to the left follows it up with the big blind. (The terms big blind and small blind are used to refer to both the actual bets and the players that are responsible for posting them.) Both of these players are compelled to make a bet to seed the pot—the big blind makes a bet equal to whatever the game’s minimum bet is, and the small blind bets half of the minimum (rounded, if necessary, to avoid the bet being a fraction of a chip). 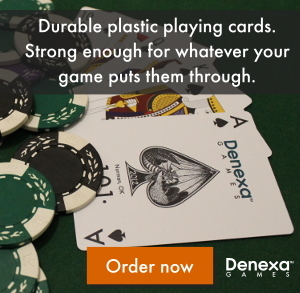 Blinds offer the advantage that all but two players are able to get cards for free and decide whether or not to participate in a hand without having to bet. It also prevents the first betting round from being actionless because everyone decided to just check (decline to bet). Also, blinds make the game go much smoother because there are only two players that owe money to the pot, and if one of them fails to bet it’s obvious which one it is—with antes it can be difficult to tell who shorted the pot, especially if everyone splashes the pot. However, there are some drawbacks to blinds: chiefly, what do you do if it’s someone’s turn to post a blind and they aren’t at the table? There are two ways to handle a missed blind. One way is to simply have the dealer collect and post the absent player’s blind from their chip stack, and if they don’t return in time to play the hand they are dealt, muck the hand whenever action comes back to them. Another option is to require them to sit out until the next time the big blind comes back to them. Yet another method is to require the player to post any missed blinds as “dead bets” that effectively serve as an ante and, other than being part of the pot, have no effect on the betting (usually games using this method give the player the option to wait until their turn to post the next big blind to rejoin the game, and in exchange, do not obligate them to pay for the missed blind). Whatever you decide, it’s important to establish the rules for a missed blind in advance to ensure all players are treated equally and fairly.